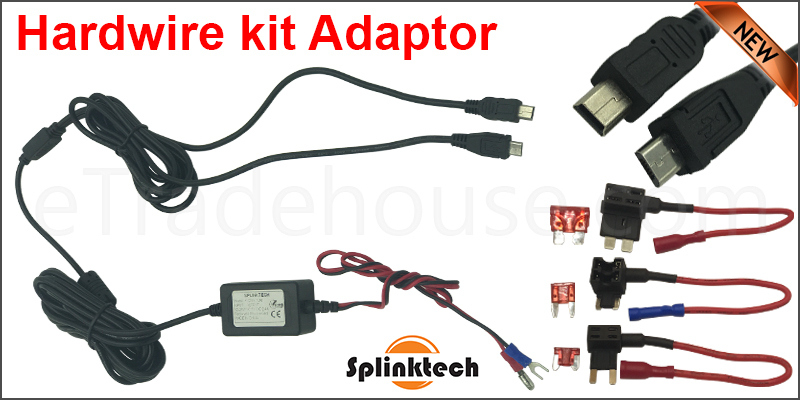 The Dash Cam Hard wire Fuse Kit with Micro + Mini USB Bundle has everything you need to hard wire a dash camera to your car’s battery. It creates a new circuit in your fuse box that you can use to power your dash camera 24 hours a day. You can record video in your car continuously without draining the battery on your camera. The Dash Cam Hard wire Fuse Kit is designed to protect your car battery. It will stop charging your dash camera if your car’s battery gets too low. You can use your dash camera 24 hours a day without worrying about having to jump start your car. Protects your vehicle s battery from being drained by the dash camera. · With ACU, ACS and ACN connectors which are more convenient to connect with your car.